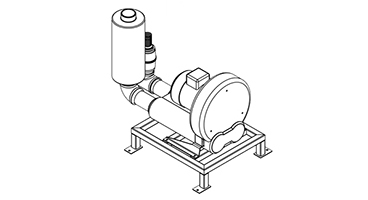 Industrial vacuum producers by Ruwac are available in both single and three phase motors, and are ideal when installing a central vacuum system. 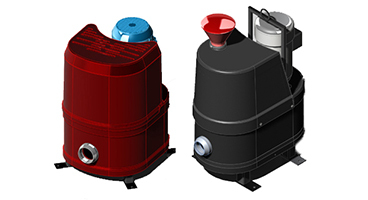 This line of industrial vacuum producers feature continuous duty operation and vary in powerful levels of vacuum CFM. 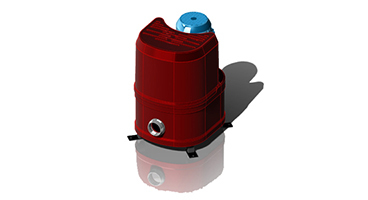 Sound suppressed motors and fully mountable stands make Ruwac's industrial vacuum blowers an easy solution to your vacuum suction needs . Delivering power and performance for a range of applications, the VPK industrial vacuum producer is ideal for central vacuum systems. 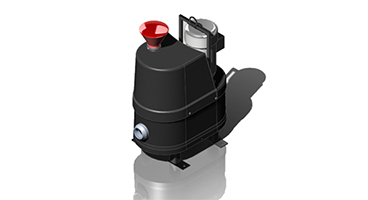 Each VPK blower is equipped with a TEFC continuous duty motor and mounted on a stand to ensure stability. The Workhorse Series industrial vacuum producers contain both single and three motors with the same great continuous duty, anti-static features you would find in their portable family members. These industrial vacuum producers are ideal for central vacuum systems. The Powerhouse Series vacuum producers contain the same level of superior power and vacuum suction you would find in their portable equivalents, but in a design that's ideal for central vacuum systems.